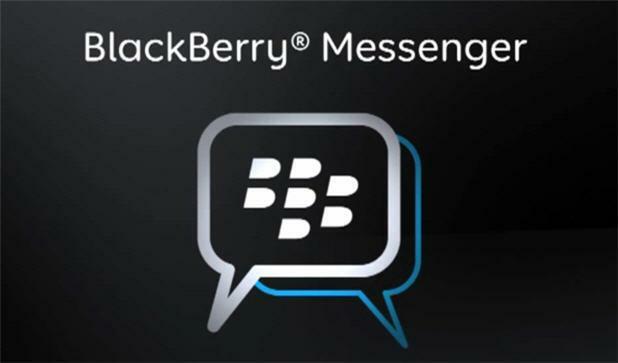 Is the BlackBerry messaging service really going to be available on the iPhone? If you are trying to decide whether to buy a new iPhone 5, or wait for the iPhone 5S or iPhone 6, or buy one of those other smartphones, one of the factors affecting your decision may be whether the BBM instant messaging service from BlackBerry will be available on the iPhone. If it is, you've come to the right place. I was recently asked this question and my reaction was that there was no way that BlackBerry would be making BBM available for the iPhone. Well it looks like I was wrong. Back in May BlackBerry announced that it would make the popular BBM service available to iPhone (and Android) users. BlackBerry seems to have decided that if you can't beat them you might as well join them. When is BBM coming to iPhone? When it made the announcement that BBM would be made available for iPhone, BlackBerry said that it would be available "this summer" in the US. That timing is "subject to approval by the Apple Store". Our best guess is spring in Australia, although it's possible that Apple will not approve the BBM app, ever. Will Apple allow BBM on the iPhone? While Apple isn't supposed to allow any bias into which apps it approves for the App Store it is possible that the company will refuse to approve BBM, claiming that it tries to replace the functionality of Apple's Messages. In 2009 Apple got into trouble with the FFC when it was accused of using bias when it was accused of rejecting the Google Voice app from the App Store. The company published a statement on its website claiming that it had not rejected Google Voice but confirming that Google Voice had not been approved because: "It appears to alter the iPhone's distinctive user experience by replacing the iPhone's core mobile telephone functionality and Apple user interface with its own user interface for telephone calls, text messaging and voicemail." The company could draw a similar comparison between BBM and Apple's own messaging service. However, it is an unlikely scenario because Apple has already approve the popular WhatsApp Messenger app, which already has 100 million users, according to that company. BlackBerry says that the BBM app will be free. Messages comes preinstalled on your iPhone and with it, iMessage, a free service that lets your send messages via Wi-FI or a 3G data service. You can send group iMessages to other iOS users and iMessages can also be received on your iPad and Mac. WhatsApp is Apple's number one paid app so there is no doubt that it is popular. It's a cross-platform smartphone messenger that sends messages over Wi-Fi and 3G, much like iMessage. The app used to be free but now it costs 99 cents. The one issue is that the message won't be sent if you have no data connection — iMessage would use SMS to send the message in that case.